The Kangaroo Island Racing Club is a proud country racing club, with one of the largest membership bases of any country racing club in South Australia. The Carnival will again be broadcast live around the country on Sky Channel with two fantastic days of racing. Record prizemoney, record nominations and the State's leading jockeys are all expected to make this the best carnival ever. Kangaroo Island has earned the reputation as one of Australia’s most picturesque holiday destinations. From sea-lion spotting to honey tasting and surfing the sand- dunes, there’s something for everyone on this idyllic island. For more information on what to see and do on Kangaroo Island, visit southaustralia.com for holiday inspiration. A short 30 minute flight from Adelaide brings visitors to Kangaroo Island Airport (KGC). The airport is located 13 km from Kingscote. Airport shuttles to and from Kingscote and other locations on the Island are available. Rex Airlines regularly flies to Kangaroo Island. SeaLink ferries operate from Cape Jervis on the mainland, to Penneshaw, Kangaroo Island, with four departures daily. Travelling time is a comfortable 45 minutes to one hour and coach connections are available between Adelaide and Cape Jervis, and Penneshaw, American River and Kingscote. Kangaroo Island Transfers can provide transfers for individuals and groups to anywhere on the Island. For more information, visit KI Transfers or phone 0427 887 575. On race days, there is a shuttle bus that runs between Kingscote and the race track on a regular basis. With a wide variety of accommodation from cabins to self catering accommodation, bed and breakfasts and high end luxury retreats, Kangaroo Island has something for everyone. Click here for a range of options to suit all budgets and holiday plans. Visit Tourism Kangaroo Island for more information on the sights and sounds of Kangaroo Island or call 1800 811 080 for a free copy of the Kangaroo Island Secrets Visitor Guide. 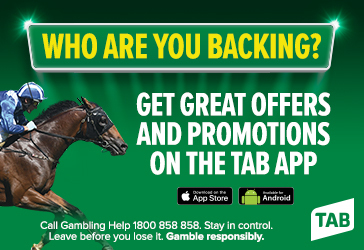 Plus a 5 point bonus will be awarded for any trainer starting horses on every day of the 3 days of racing. Plus a 5 point bonus will be awarded for any jockey riding horses on every day of the 3 days of racing. Free walk on ferry transport from Cape Jervis to Penneshaw and free shuttle bus to track and return to Cape Jervis on each day of racing. Sign up for Kangaroo Island enews!